XTBs on Bank Floating Rate Notes started trading on ASX in Q4 2015. Bank ‘floaters’ are among the most capital stable securities in Australia and XTBs over them are even more stable than fixed rate XTBs. 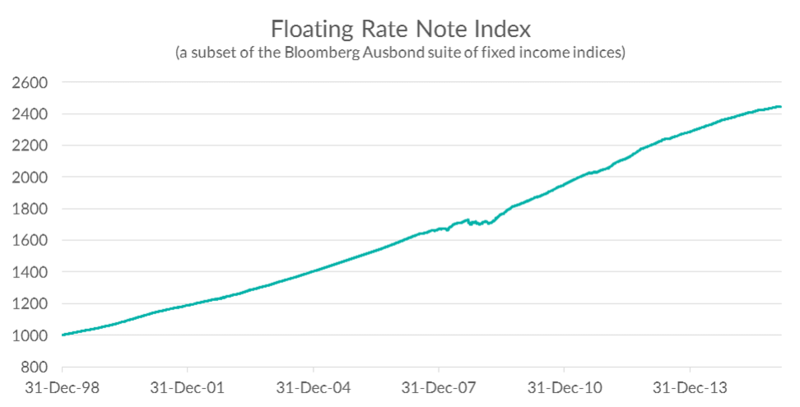 Floaters aren’t sensitive to interest rate expectations in the same way as fixed coupon bonds, so many advisers see them as an ASX-traded alternative to at-call cash accounts and short-dated TDs. With cash returning around 1.9%, floating rate XTBs have been trading at high 2s to low 3s, based on BBSW + Trading Margin – the wholesale market’s best estimate of Yield. Volumes in XTB floaters are growing significantly given the weight of ‘cash’ in investor and SMSF portfolios. 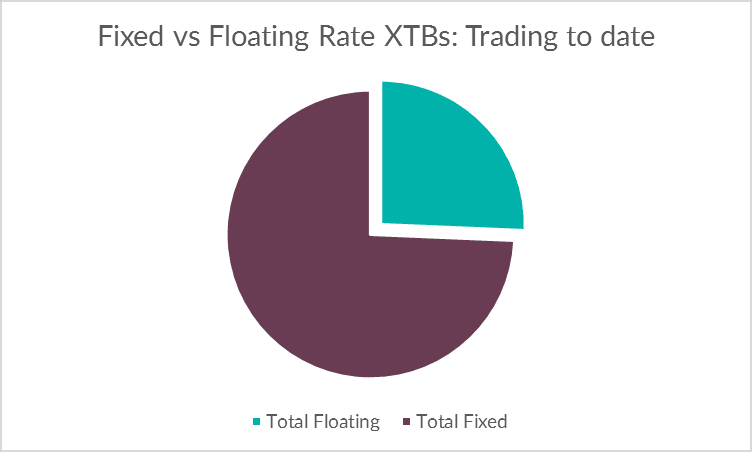 25.6% of all XTBs purchased to date have been floaters. The accompanying charts highlight the capital stability available for competitive rates compared to cash and 3 month TDs.